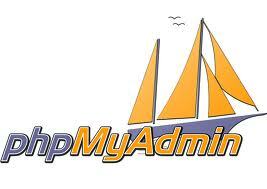 In this post, i will show on how to install phpMyAdmin on CentOS 5.8 using EPEL repository. phpMyAdmin is a opensource tool written in PHP intended to handle the MySQL administration using web interface over the internet. It can manage a whole MySQL server as well as a single database. This post assumed that MySQL and Apache Httpd server has been installed and configured properly. Follow this steps to install and configure the Extra Packages for Enterprise Linux (EPEL) repository on CentOS 5.8. EPEL repository is another extra repository that creates, maintains, and manages a high quality set of additional packages for Enterprise Linux, including, but not limited to, Red Hat Enterprise Linux (RHEL) and CentOS server.